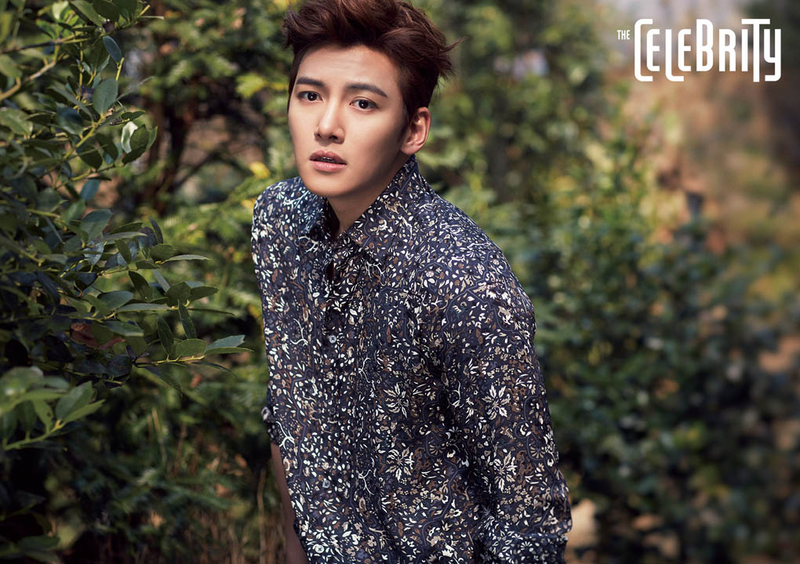 It's been over a month since the drama The Healer ended and Ji Chang Wook remains as popular and busy as ever. If this keeps him appearing in more magazine editorials like these two then I'm not complaining. 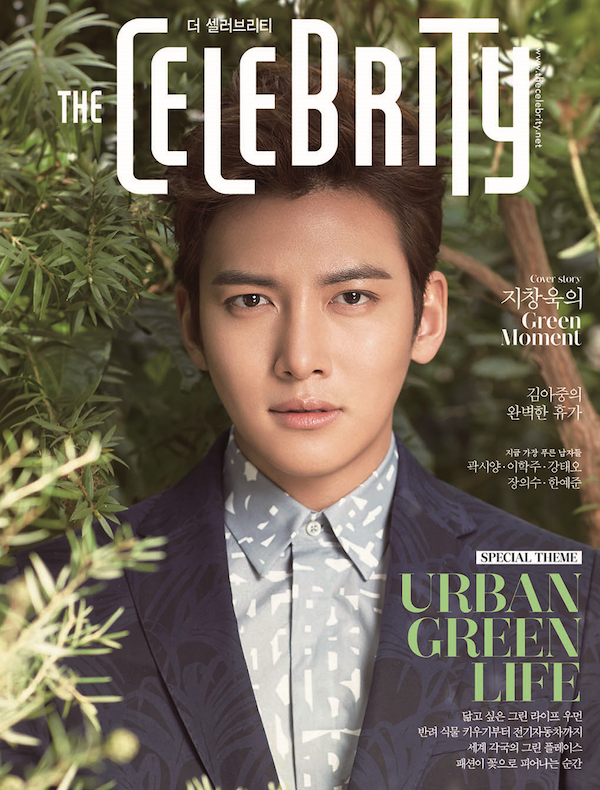 He looks as handsome as ever in a range of looks befitting a dapper gentleman in the pictorial that was shot at the picturesque Hantaek Botanical Garden by Kim Dowon for The Celebrity and the magazine likened his warmth and beauty to that of Spring. In the accompanying interview, the 29 year old actor revealed that he hasn't owned a computer in about five year and gets all his scripts printed out for him. I can't even imagine what that must be like. He must own a smartphone that enables him to post to Instagram though. 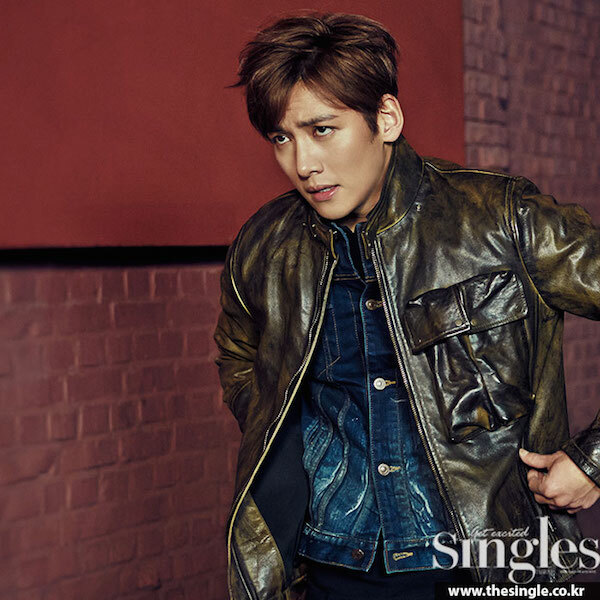 For the Singles editorial which was inspired by the movie Kingsman: The Secret Service, Chang Wook reprises a charming gentleman look while also transforming into a bad boy. He nails each look convincingly and even manages to pull off a yellow Jeremy Scott Adidas Bones Fur track suit with considerable style and swagger. The actor who is currently in Thailand with Marie Claire magazine caused quite a stir when he made a surprise appearance at Seoul Fashion Week at the beginning of this week. He will be returning for some regional performances of the musical The Days and it looks like he may be the lead actor in the revenge thriller film Modified City. I hope he gets in few more projects before he enlists for military duty. Yes he's a favorite around here and you can always see more of him. I'm having envy over his perfect, dewy skin- some how I don't think it's all photoshop! Handsome! And he can pull of many styles it seems. A hottie modeling great editorial have a lovely weekend doll. i love that brocade jacket he had!! How cute is he in that gray suit?! He definitely looks great but I'm also fascinated - no computer for 5 years? Yikes! Ohh, he is a pretty looking one, Rowena! I do like looking at the Korean actors, their face are always so flawless and the men are sometimes prettier than some women that I've seen! Eye candy indeed! Hope you have a great weekend. 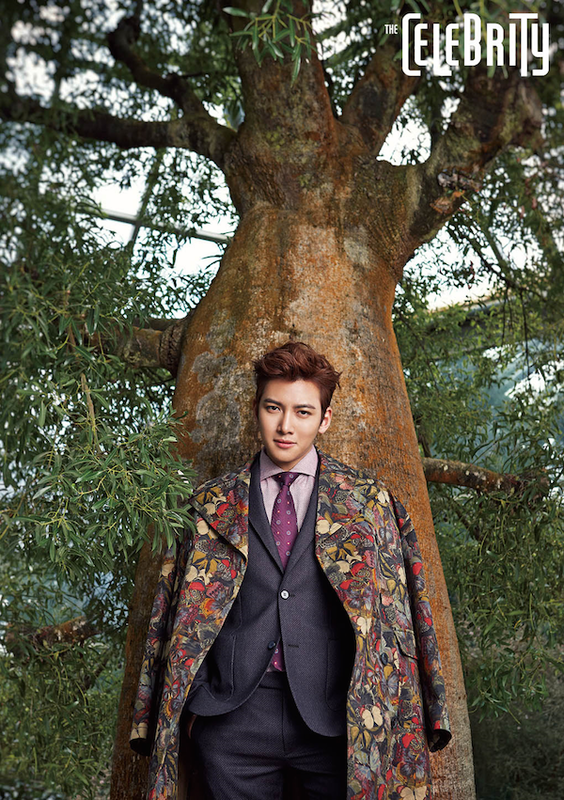 Eye candy indeed...and wearing gorgeous outfits...that floral coat really caught my eye! I just love to see a fashion forward guy...however,I think it would bother me if my date outshined me for example...ha ha. Seems like an interesting guy...no computer for five years...wow..how he does that? Wow, this guy is quite the cutie! I definitely prefer the preppy/dapper gent looks, but you're right, he does pull off the bad boy image to perfection! It's great to see how he can embody different characters in this series of photos. Lovet this post! 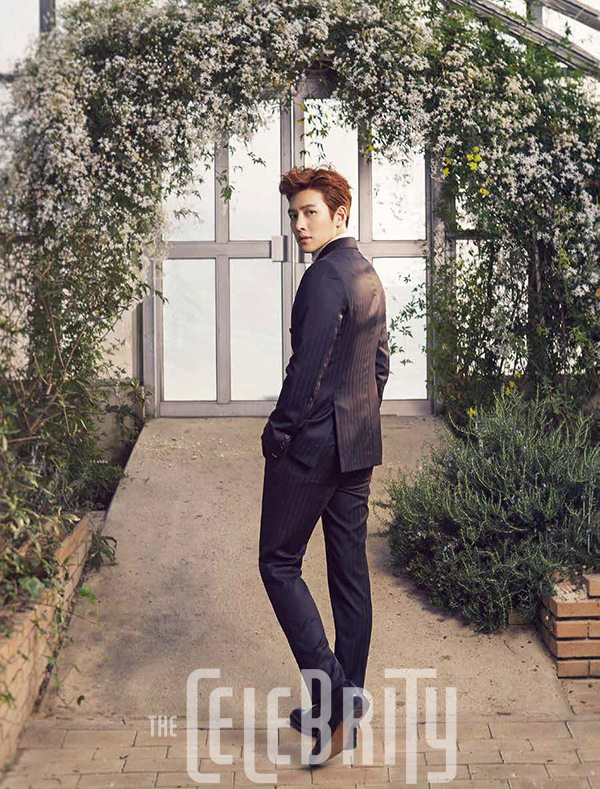 Handsome!!!!! And great style, of course!!!! Wow he is joining the military? And no computer for 5 years WOW that makes him a bit of a rebel huh. Love these editorials and the masthead of this magazine is really cool. 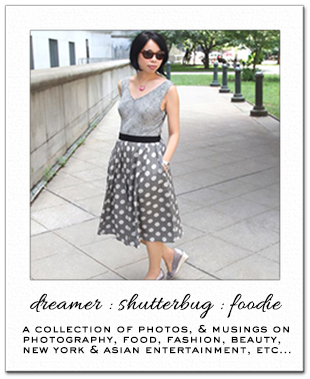 I really enjoyed this post, what a great reading and the pictures are super inspiring! Thanks for sharing! Wow, he's so versatile Rowena! He comes across different in every pic. I think when a person can do that, it's brilliant. Loved each and everyone. He's a very striking young man and very talented indeed. He must be super blessed to be able to cope without a computer...:-), I think most of us are too dependent on our computers and we need to be like him. 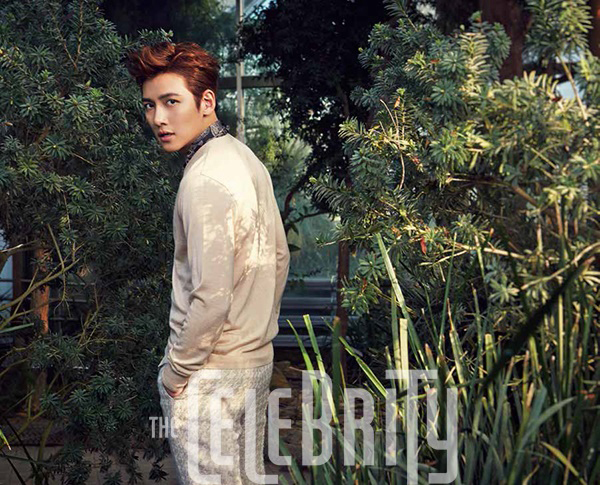 I think I'm too old to appreciate his beauty :-) the editorials you have selected are awesome. Happy weekend darlimg Rowena! Ooooh yes! He's certainly very attractive. I know he's probably photoshopped, but his skin is flawless! Nice post Rowena, the model's transformation from gentleman to bad boy is well done on the shoot. He is awesome, beautiful photos also! He's cute!! I love Asian guys!! No computer for 5 years?! That is totally incomprehensible for me lol. Or for most in general but I admire his resilience in joining the masses. Whether that is by choice or default though... Lovely shots regardless, loving the garden scenery. 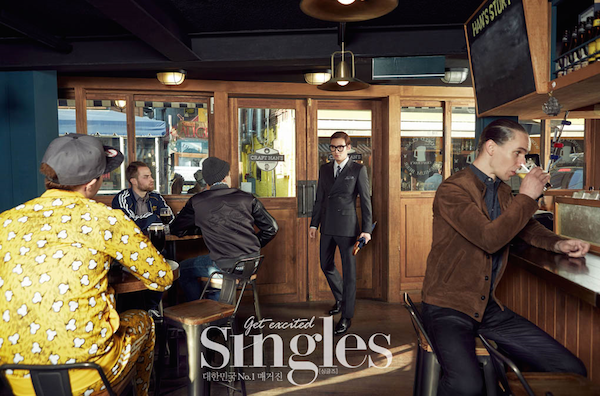 Reminds me of a Burberry campaign a few seasons back. Well, with a face like his, he seems to be able to pull of any looks, be it in the lush green beautiful gardens or rocking that gentleman yet a little naughty look! And yeah, I do notice you like this fella quite a lot as I have seen his editorials being featured here before. I have not seen any of his acting work though, haha. Perhaps it's about time for me to check him out. Which of his work would you highly recommend, my friend? ohhhhlaaalaaa The Healer it is. Thanks for the recommendation, Rowena. I shall let you know what I think if I get a chance to watch the series. Guess what, Rowena? 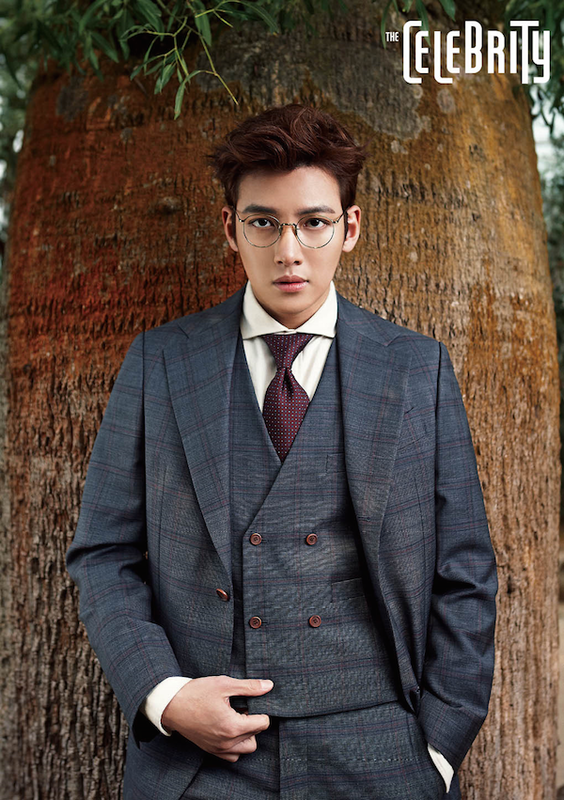 I finally got around to watching the Healer... express marathon all the way within three days! 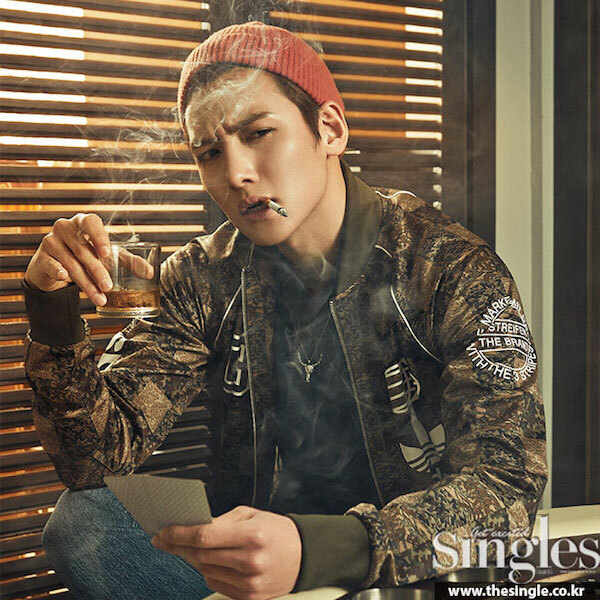 Thanks for your recommendation, Healer is most definitely a good way of introducing me to Ji Chang Wook and his acting. I love the two opposing characters he plays in the Healer, super fun to watch *_^ I guess now I know why he's your favourite here, haha! I bet he had so much to prepare for, for such a action-packed role, with all those runnings and fighting. Interesting indeed.